At the age of eight, Grayson went on a family vacation to the Galápagos Islands. He was inspired by the incredible animals and wrote daily in his journal about his observations and personal experiences. 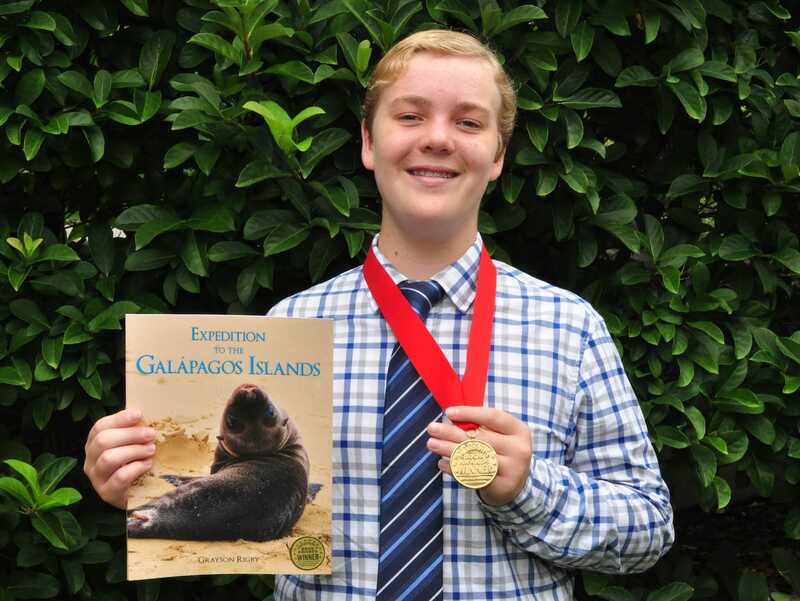 The following year, at the age of nine, Grayson won the Lindblad Expeditions-National Geographic Young Explorer Challenge for his journal, My First Expedition to the Galápagos Islands. Lindblad Expeditions-National Geographic honored Grayson with a complimentary expedition to Seattle, Washington, and the San Juan Islands aboard the National Geographic Sea Lion. When Grayson was 10, he won first place in the St. Johns County School History Essay Contest for his paper titled, “Exploration, Encounter, and Exchange,” an essay about Ft. Mose and Captain Francisco Menendez. Grayson has served as a Student Ambassador at Ocean Palms Elementary School where he participated in a variety of community service projects. Grayson is currently in 7th grade and mentors students through the Small Steps organization, a youth-led volunteer program. He also co-created a book drive at his middle school to benefit Title 1 schools within the county. Grayson is planning his next expedition and eagerly anticipating a new adventure. Grayson lives with his parents and Goldendoodle Ellie on a barrier island in Northeast Florida. A young adventurer travels aboard the National Geographic Endeavour and shares his experiences as well as science facts and information about each bird, crustacean, fish, marine mammal, and reptile encountered on the journey. This nonfiction children’s picture book and travel journal with full color photographs and illustrations is sure to entertain explorers of all ages. 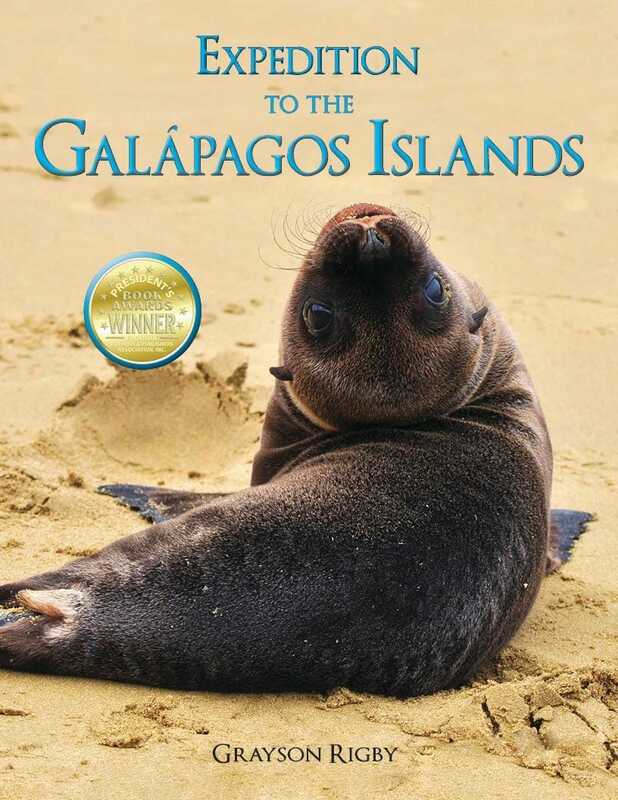 Discover detailed information about the Galápagos giant tortoise, blue-footed booby, Galápagos marine iguana, and Galápagos penguin in addition to other endemic and unique animals.